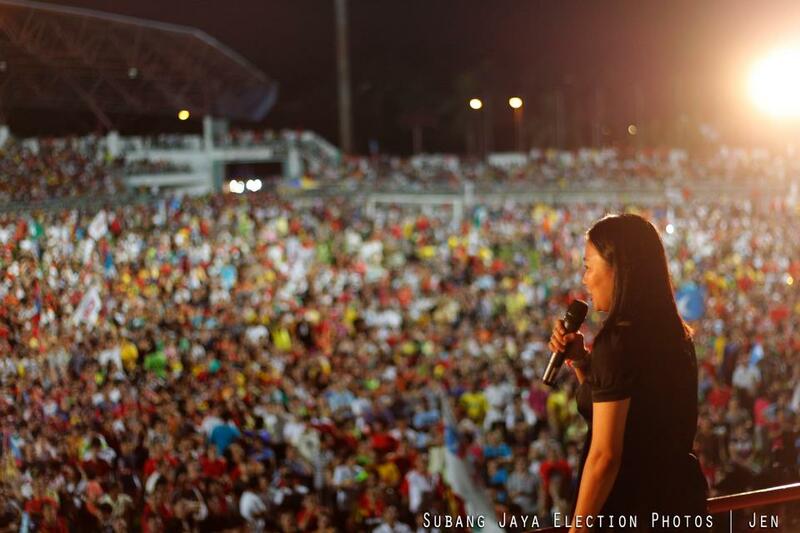 When Hannah Yeoh answered the last minute call to contest the Subang Jaya state seat in the 2008 general elections, she thought life would be back to as before weeks later, for she had not expected to win. 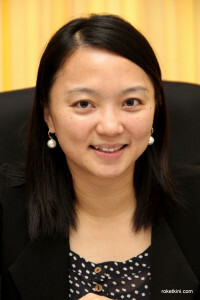 In 2013 she won re-election with second highest majority in Selangor. Life has definitely taken a change for the better.In this second part of the interview, the Rocket hears her candid views on what Selangor needs to improve on. Report by T.K Tan. Photo by Wira Andika. As a second term ADUN, Hannah’s reputation as a hardworking and conscientious YB has spread far and wide, and for a good reason. In this candid interview, I noticed that nothing works Hannah up more than when the subject of service delivery was broached. Hannah brings up the issue of competence for the local councils (LC) as an illustration. “As an ADUN for Subang Jaya, there are several issues which I disagree with, one being the establishment of auxiliary police force for my LC area. Though it concerns safety issue, it is the responsibility of the home affairs ministry. They collect income taxes and thus have a bigger budget to do the job,” she said. “Though MPSJ is reportedly one of the richer LCs in Selangor, the LC too suffers from lack of funds to do the basic services,” she pointed out. As for cleanliness, even though Selangor has taken over the cleaning services from Alam Flora and saved millions of ringgit via open tender of the service contracts, Hannah finds the service level in the LCs as still unsatisfactory. She believes an audit of the cleaning contractors must be performed properly before hiring these contractors. “On the tender boards for the LC’s cleaning projects, no councillors are allowed on it; the excuse is it’s meant to keep political influence away. However with no politicians there, there is no monitoring of the right contractor to be hired,” she elaborated. Selangor under PR in the last term had implemented a people-centric scheme known as Merakyatkan Ekonomi Selangor (MES), with many welfare programs targeting the senior citizens, households earning below RM 1,500 a month and also for the broader public such as the free water program. Hannah sees that in order to improve the execution of the programs, Selangor needs to disseminate the information to the target groups more effectively. She identifies that the free WiFi service provision as a crucial piece in this public relations effort. “The alternative media is our one free media outlet that we can leverage to counter BN’s attack. We need to get the free WiFi up in the rural areas where PR’s information is lacking. Currently it is very slow in implementation,” she elaborated. In spite of PR having governed Selangor for more than five years, Hannah says that the state civil servants attitude towards PR’s attempt to reform the governing system is still lukewarm. There is also no reward for them to take the initiative to do beyond what is required as the federal government has the power to decide the tenure of the state civil servants. “Sometimes, the good or performing civil officials would be transferred to federal departments. This unhealthy relationship with the federal government is something that the PR state government has to deal with carefully,” she opined. On the plus side with PR winning more seats and getting a bigger mandate during the 13th GE, it has helped settled the civil servants’ doubt to do their job. “However, the expectations of the people are also higher too with the bigger mandate,” she added. Unlike 2008 where I was a newbie and with zero election experience, in this general elections (GE) seeking re-election, it was more bearable for me as I was more experienced in the campaigning and knew the grass root DAP members. The only drawback was I had just come out of my confinement period with the birth of my second child. The young people are now more enthusiastic and involved in politics. The big winning majority obtained by PR candidates in Selangor was due to the higher voter registrations during the 2008 to 2012 period. Based on the voting trends, we can see the young voters are with us. The young are also more willing to engage in politics. After the 13 GE we have had hundreds of young signing up as interns in the party. More people, especially the young feel that politics is the way to improve the country. As for the GE results, it shows that the people have accepted that Pakatan Rakyat (PR) is here to stay; they don’t see us as marriage of convenience. 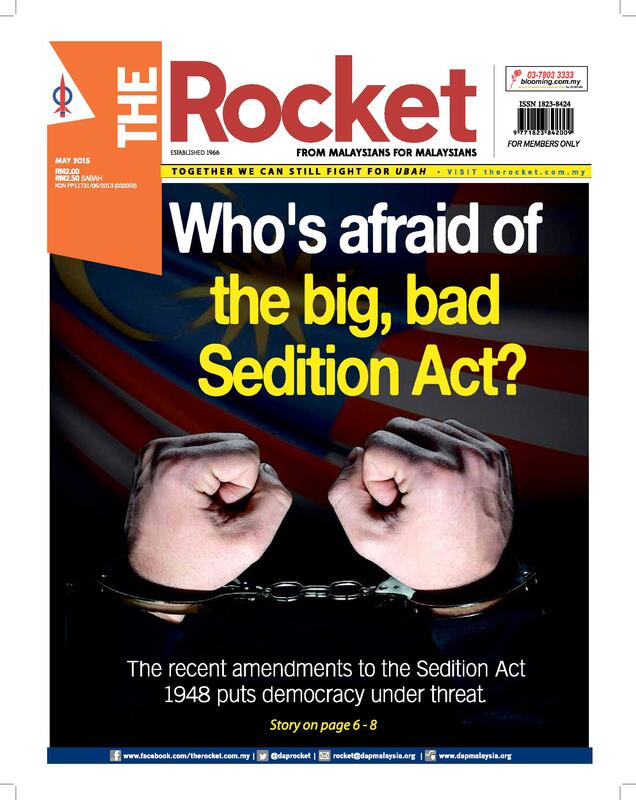 Now is the time for us to lead by example instead of just lecturing BN on what is wrong in the state and country. I was sad when some of our coalition partners’ candidates didn’t win in the last GE, the prominent ones being Dr Dzulkifli Ahmad, Saifuddin Nasution and Mohamad Sabu. That was quite a letdown. We have to keep our focus on the march to Putrajaya. After the result many ordinary supporters went into depression. Many of the older generation supporters felt that with this result, they wouldn’t see the political change in their lifetime. As leaders, we must continue to generate hope to sustain this momentum of change. It isn’t done just through ceramahs and rallies; we must show the good result at the states we governed. In this campaign the PR partners had excellent coordination; we made the effort to present ourselves as the clear alternative option to the people. For that we have received good feedback from the people. However in some instances, such as in the Kota Damansara and Semenyih seats PR needs to learn its lessons of cooperation and consensus. The ADUNs need to remember that we are not greater than the party we represent. The list of former YBs contesting as independents and losing badly in this GE shows that without the party, the voters wouldn’t accept us. Our task ahead before the next GE is to sustain the voters’ interest and enthusiasm. 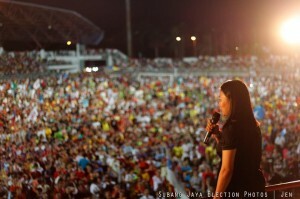 As for rallies and ceramahs, PR needs to not over do them; we need to hold them more often in the rural areas. Klang valley residents are generally in touch with the issues; we can go slow here. Voter registration needs to be continued especially in the rural areas. We have to step up our outreach to the rural voters. The GE results portends much challenges for DAP. DAP wants to expand its appeal to all ethnic groups and obtain more party membership. At the same time, it needs to be careful with the membership. I believed that there are a lot new members that have been sent in by certain parties to infiltrate and sabotage the party. Take for instance the complaints to the ROS about the party election that was held last year. How do we filter and vet the genuine members and at the same time expand the party membership? That’s a crucial challenge for DAP. There seems to be a perception amongst the public in Klang valley that Selangor has lagged behind Penang in delivering basic services such as roads maintenance and cleanliness. There is a need for both states to share the resources and knowhow on how to tackle some of the basic issues without us reinventing the wheel. For PR, we need clear leadership at the national and state level. In Selangor as the three partners are almost equal in ranking, we generally move slowly by consensus. There are good and downsides to that; we have no dominant partner here, however policies are slower in coming. In contrast with Penang, which has DAP as the dominant party running the show here in Selangor we has this set of characteristics. Whilst a visitor and a casual follower of current affairs may observe Penang to be ahead in some aspects, Selangor can and should perform better in areas where it has the advantage and head start. Selangor has moved ahead in the fight for corruption, freedom of information and poverty alleviation. We should excel in these matters and not let the minor hiccups and misunderstandings stumbles us. The key word I would emphasise on is focus. Let’s not do all things and survive on average performance; we should excel in the few major ones that we can do. It is now incumbent that Penang and Selangor lead by example and that our policies go across races to help all. This article was written by admin on Thursday, January 2, 2014 at 6:09 pm. You can follow any responses to this entry through the RSS feed. You can leave a response, or trackback from your own site.